Celebrate your new status as a husband and wife with this fun bunting, which can be attached to the bride and grooms chairs, adding an original touch to your top table settings. Made from durable card, this bunting is easy to assemble and uses co-ordinating red and white string to attach the pennants. 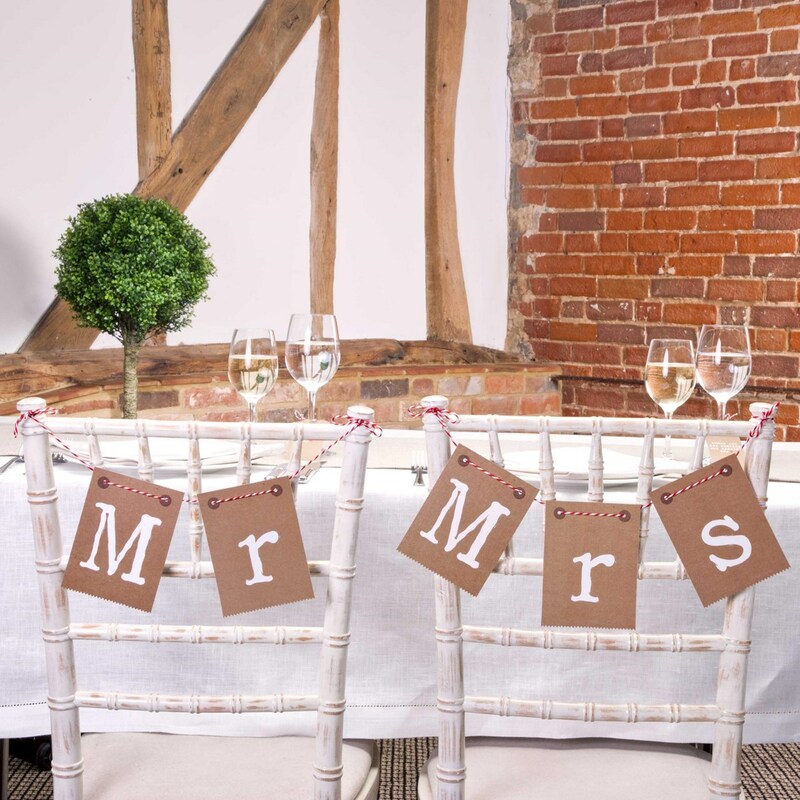 Featuring "Mr and Mrs" in bold, typewriter-style font, this bunting makes a great talking point for your special day. Ideal for attaching to the Bride and Groom"s chairs. Features bold "Mr and Mrs" text. Adds an original touch to your top table dressing. Easy to assemble.